Xiaomi is planning to launch its first smartphone under the Redmi sub-brand on January 10 in China. It is a move very similar to Huawei which sells its budget smartphones under the brand name Honor. The smartphone under the Redmi sub-brand have been spotted on the Chinese certification website TENAA. As per the details on TENNA, the three models listed were M1901F7C, M1901F7T, and M1901F7E. The variants could come with different storage capacities. 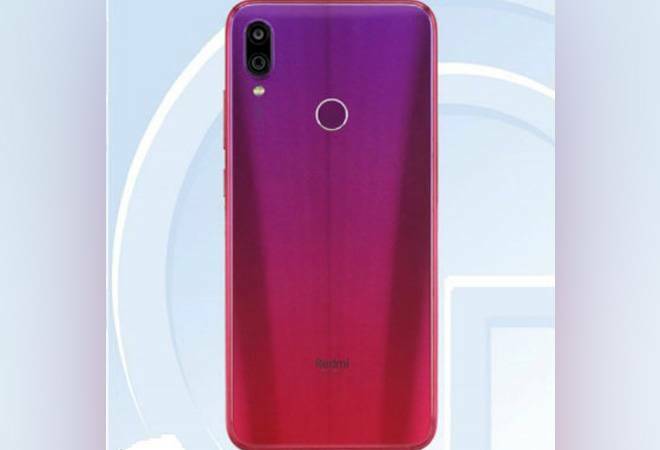 Most reports mention that this smartphone could be a part of Redmi 7 series phones. The TENNA listing also reveals that the phone comes with a display size of 6.3 inches with a dew-drop shaped notch. The listing also reveals that the handset will have the dimension of 59.21x75.21x8.1mm and will be powered by a 4000 mAh battery. The image on the website also showcases the device sporting a gradient back with pink and purple combination. As far as the optics is concerned, the images posted on TENNA show vertically placed rear cameras on top left corner. Exact specifications of the camera are not mentioned but it could be the 48 megapixel camera which was announced by the Xiaomi's CEO Lei Jun shared a poster on Weibo. Jun had also said that the Redmi smartphones may start sporting Type-C ports. He had asked the fans whether they would like to see Type-C port on Redmi phones. Earlier, Xiaomi had publicly announced its plans of launching Redmi as a separate sub-brand. "We believe, with Redmi becoming an independent brand, and Redmi and Xiaomi developing in different directions, both brands will benefit. Redmi will focus on extremely cost-efficiency and the e-commerce market while Xiaomi will focus on the mid- to high-end market and new retail," he said. Xiaomi already has Poco as a sub-brand which offers flagship specifications at an affordable price tag.